Daunte started wokring at Beach Pet in January of 2016. He currently attends William and Mary and is working towards a degree in Biology. Originally from Detroit, Daunte and his family currently reside in Hampton with their two dogs. Daunte and his son Gabe enjoy spending their weekends hunting, fishing, camping, and helping take care of the horses on their family’s farm! Kristen has been working in the veterinary industry for approximately six years in the tradition of animal care instilled in her as a child by her mother. She holds an Associate’s degree in Health Science with an emphasis on Massage Therapy and is enrolled in Veterinary Technician school at San Juan College. When not working, she can be found singing and acting in local community theater or bike riding at the beach with her husband A.J. Together they are parents to cats Smoke and Butternut, and Ellie, an Australian Cattle dog mix. They are currently expecting their first child together, a boy! 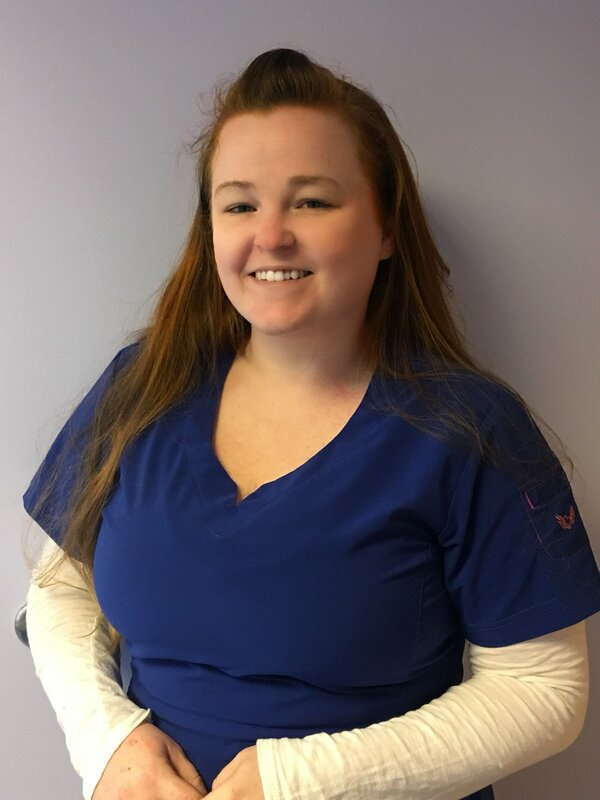 Lauren is a member of the veterinary assistant team who graduated from Kempsville High School in 2002. She has been working at Beach Pet Hospital since 2007, and is furthering her career in the veterinary field. She and husband Bruce are parents to daughter Raelyn, son Trey, and dogs Nicholas, Dallas and Titan, cats Turk and Baby Kitty and African gray parrot, Henry. The Washington Redskins are currently the football team she can be found cheering for and she enjoys watching the games with her family and friends. Rachel came to Beach Pet Hospital in the winter of 2014. She is currently very interested in the surgery aspect of veterinary medicine. She also enjoys traveling, reading, and crafting. She and husband Chris, are parents to a boxer mix and an American Staffordshire Terrier named Huck and Finn. She enjoys watching football as a big Dallas Cowboys fan and as a family they cheer for the Baltimore Orioles! 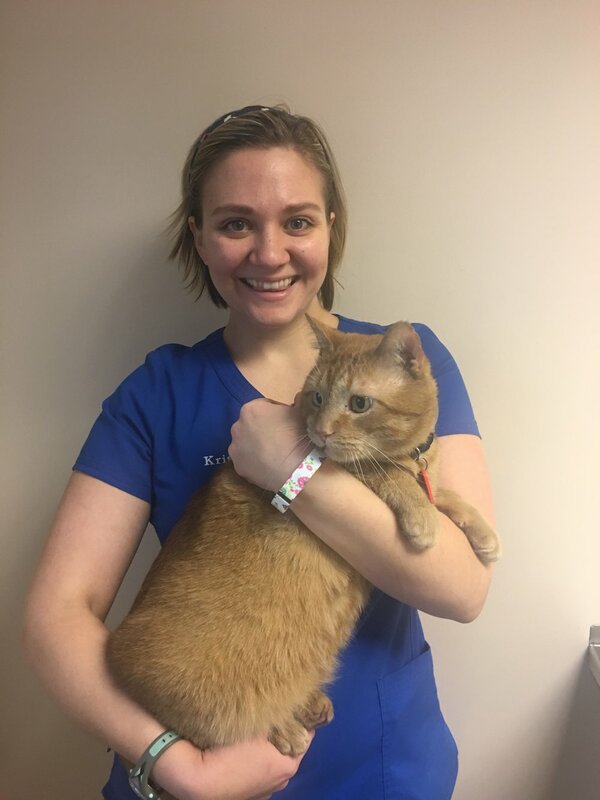 Seamas has been an assistant at Beach Pet Hospital since 2016. She is currently attending Old Dominion University and studying Biology. As a Virginia Beach local she loves to spend her free time paddle boarding and walking her Chihuahua, Chloe, on the boardwalk. Tori joined the Beach Pet team in October of 2017. She is from Lake County Florida, and attended Seminole State College until 2014. Tori is currently enrolled in the Veterinary Technician program at San Juan College. She and her husband Kody enjoy spending their free time fishing, hiking in the woods, and spending time with their two dogs Hank and Tobias!